What are we going to cover in this article? If you have an injury to your Achilles, whether acute or chronic, what are your options? The use of Prolotherapy, PRP, and Stem Cells as non-surgical treatment for Achilles tendon degeneration and for partial ruptures and as adjunct treatment following complete Achilles tendon rupture and surgery. 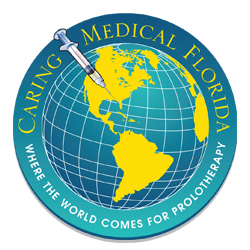 Prolotherapy is a regenerative injection technique that stimulates repair of injured tissue. We inject in around an Achilles tear or degenerated tendon to create new healthy, regenerated tissue and get athletes and runners back to their activities. Most people that we see in the office for Achilles tendon tear or degeneration have not had success with typical treatments such as anti-inflammatories or standard immobilizing. People who do end up in our office for evaluation of Achilles tendon degeneration and tears heel very well Prolotherapy. This is documented in the research below. Sometimes we may have to differentiate the treatment based on the type of injury. We can inject dextrose into a degenerative tendon and regenerate tissue but if we’re trying to essentially glue back fibers from a more significant tear, we get healing factor cells from the patient. This would be platelet rich plasma or PRP cells which come from the patient’s own blood. These cells are injected into the tendon using ultrasound guidance. We may also recommend immobilization to the area. Immobilization is usually not ideal because tendons need motion to heal, however, the exception to that is when we are putting PRP or Prolotherapy in the tendon and we are trying to heal that tendon from more significant damage, then immobilization is sometimes necessary. Injury to the Achilles tendon increases with age and overuse. That has been clearly and well documented in the medical literature. While age and overuse make athletes and active people predisposed to injury, many patients will come into our office and describe an onset of pain that can be traced to a new and sudden burst in activity (a new exercise program). In many cases this acute injury has occurred from chronic wear and tear – the tendon has finally torn sufficiently enough to be considered an acute injury. patients report their heel and Achilles tendon area feels sore and tender to the touch, with the soreness coming and going to varying degrees. some patients report a clicking and popping sound. some will show swelling and an enlargement of the Achilles tendon. There may be bumps or nodules in the mid Achilles region. A “stiff” Achilles tendon or a sensation of tightness is also reported in patients who have difficulties pointing their toes upward. patients may have inflammation which may point to paratenonitis – an inflammation of the surrounding sheath, tendinitis with is inflammation of the tendon caused by wear and tear, and tendinosis, degeneration without inflammation. Noninsertional Achilles Tendinitis is where the tendon has begun to fray and break down in the middle of the Achilles tendon. This is an injury more typical of active patients. Insertional Achilles Tendinitis occurs closer to the heel area where the Achilles attaches or inserts itself to the heel bone. 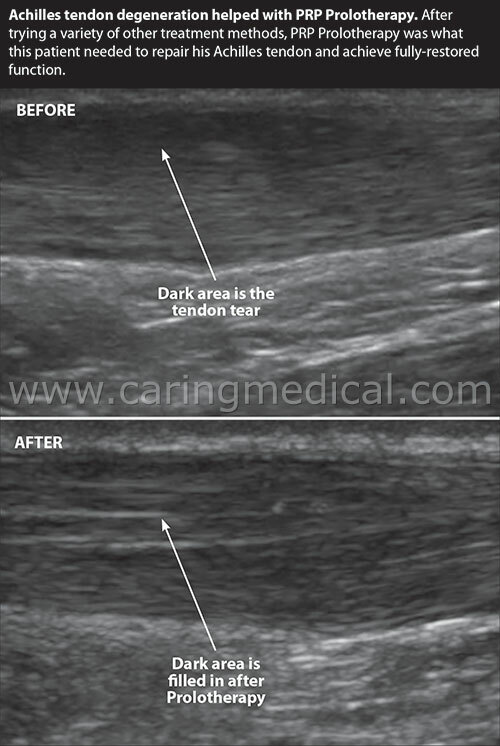 In both conditions, the tendon seeks a way to stabilize itself and the heel-ankle complex area. It does so by calcifying (hardening) and by forming bone spurs on the heel. In this section, we will discuss treatment options. 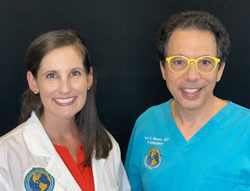 The first treatment option is Platelet Rich Plasma Therapy. Platelet Rich Plasma Therapy is an autologous derivative of whole blood that contains a supraphysiological (greater than the normal amount) concentration of platelets. You can learn more about this treatment here What is Platelet Rich Plasma Therapy? The study’s purpose was to investigate whether platelet-rich plasma would activate tendon-derived stem cells to promote regeneration of Achilles tendon post-rupture in rats. In the in vitro study, platelet rich growth factors significantly enhanced cell DNA synthesis (cell replication) improved viability and promoted proliferation, while facilitating cell migration and the recruitment of tendon-derived stem cells. More evidence that PRP can non-surgically repair an Achilles tendon in various degrees of rupture and tear. In addition to the research cited above, another Italian research team evaluated the long-term clinical outcome in patients affected by mid-portion Chronic Recalcitrant Achilles Tendinopathies (CRAT) treated with administration of single platelet-rich plasma (PRP). A total of 73 patients age 43 years old predominantly males had 83 tendons treated with a single PRP injection. They were then evaluated using standard scoring systems. 91.6% were rated as satisfactory and patients would repeat the treatment. 8.4% were classified as unsatisfactory at the 6 months follow-up and underwent a second PRP injection. In addition to this, patients reported no Achilles tendon rupture. The doctors were looking to identify and evaluate existing research to determine the clinical effectiveness and safety of Prolotherapy injections for the treatment of lower limb tendinopathy and fasciopathy. 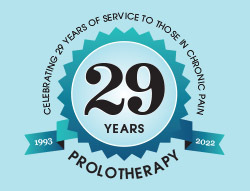 Results of the analysis provide support for Prolotherapy as an effective treatment in both reducing pain and improving function in tendinopathy and fasciopathy. In their study, 43 patients with an intra-tendinous tear were given Prolotherapy injections A 4-6 week period of walking boot immobilization was followed by progressive rehabilitation (6-8 weeks). 30 patients (70%) responded with VISA-A scores (A scoring system to measure Achilles tendon pain) showing significant healing after 3 months and even more so at 12 months. Showing long-lasting results. After 5 months, 27% of tears were no longer detectable in imagining. For patients who have already received steroid injections or surgery for Achilles tendinopathy, but still have pain, Prolotherapy and Platelet Rich Plasma Injections may be a good regenerative treatment to consider to improve the entire heel, Achilles, ankle complex, especially with tight Achilles tendon pain that may be causing Equinus a condition that limits the motion of the ankle. When there is advanced tearing or more damage to the Achilles tendon, in addition to PRP discussed above, stem cell therapy may be introduced. Doctors writing in the medical journal Lancet examined the use of Platelet Rich Plasma Therapy for patients with a ruptured Achilles tendon. Twenty patients with a ruptured Achilles tendon had tendon tissue samples taken. 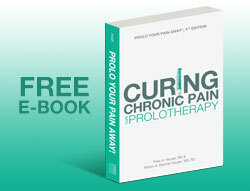 Ten of the patients had PRP, ten patients had placebo treatments. Stem cell therapy is the injection of stem cells into the damaged Achilles tendon. You can learn more about the treatment here What is Stem Cell Therapy? In recent research, and as mentioned in the above citations, doctors in Turkey, bone marrow-derived stem cells (MSCs these are stem cells taken in a simple aspiration procedure from the iliac crest of the pelvis or from abdominal fat) promoted the recovery of the ruptured Achilles tendon and increase its structural strength. There have been numerous studies testing the validity of the use of Platelet Rich Plasma during open surgery. These studies have led some to question whether or not PRP can help with post-surgical rehabilitation if applied at the time of surgery. One of the big problems with studies on PRP or stem cell enhancements at the time of surgery is the problem of dilution. (20) In our article on arthroscopic knee surgery for osteoarthritis, I came upon a study that found that during surgery, surgical dyes, irrigation fluids, and other liquids forced into the repair area significantly diluted healing agents during surgery and more importantly post-surgery. The senior researcher had utilized PRP by both methods to treat Achilles tendinopathy over a 7 year period. Twenty-six patients were followed, half having undergone Achilles tendon surgery in combination with PRP administration and the other half PRP injections alone. PRP did help in surgery and helped equally without surgery. This is why seeking a consultation with a doctor experienced in the varied PRP, stem cells, and a comprehensive Prolotherapy approaches can offer the patient more options pre and post-surgery for enhanced and accelerated Achilles repair. In this article, we have shown that Prolotherapy, PRP PRolotherapy, and Stem Cell Prolotherapy can be viable options for your Achilles tendon problems. If you have questions, send it to our staff.